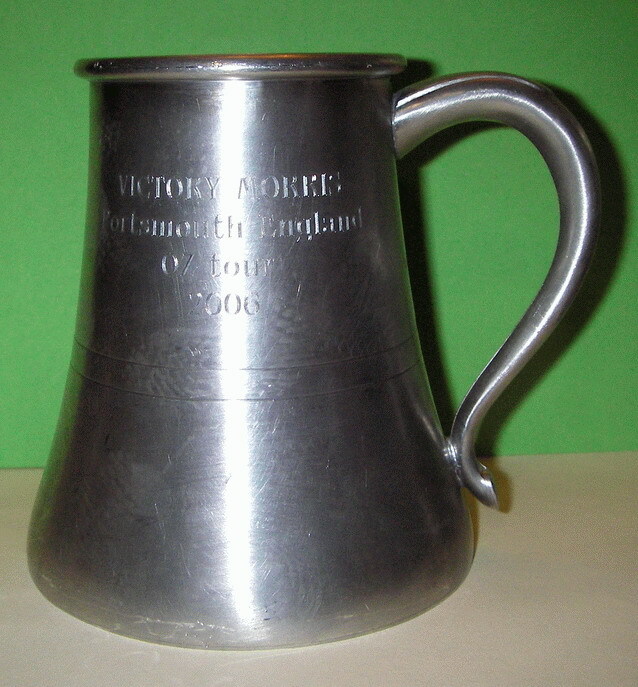 When Victory Morris came out from Portsmouth the Melbourne for their 30th Anniversary, they presented us with a Tankard, a small ‘tot mug’, a Bosun’s whistle and a natty Certificate. 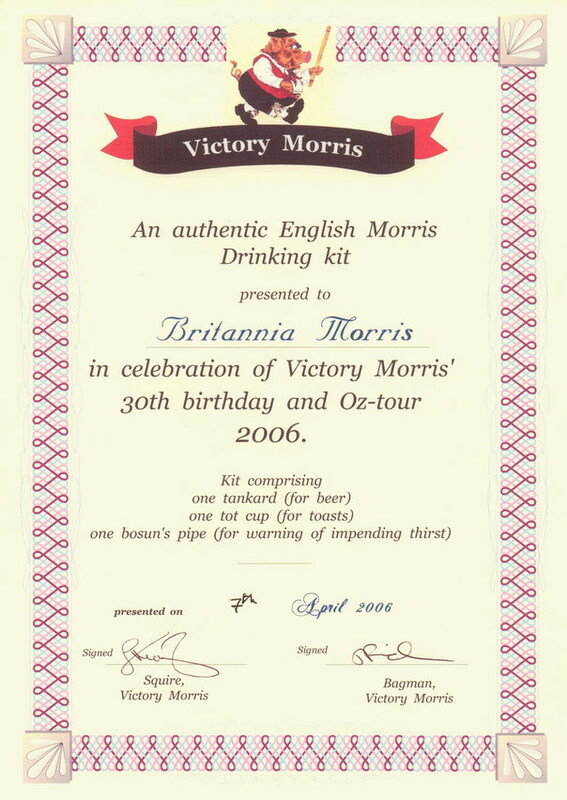 We were dead impressed, and immediately bought some rum for the toasts. We nicked the old Tyler’s toast, and eventually settled on Rumpo! as the call when drinking from the tot mug. 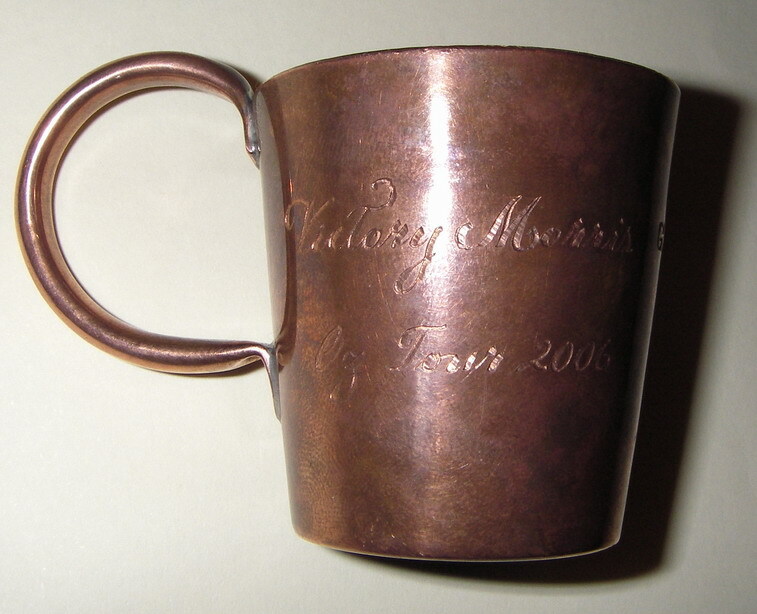 This is the tot mug. 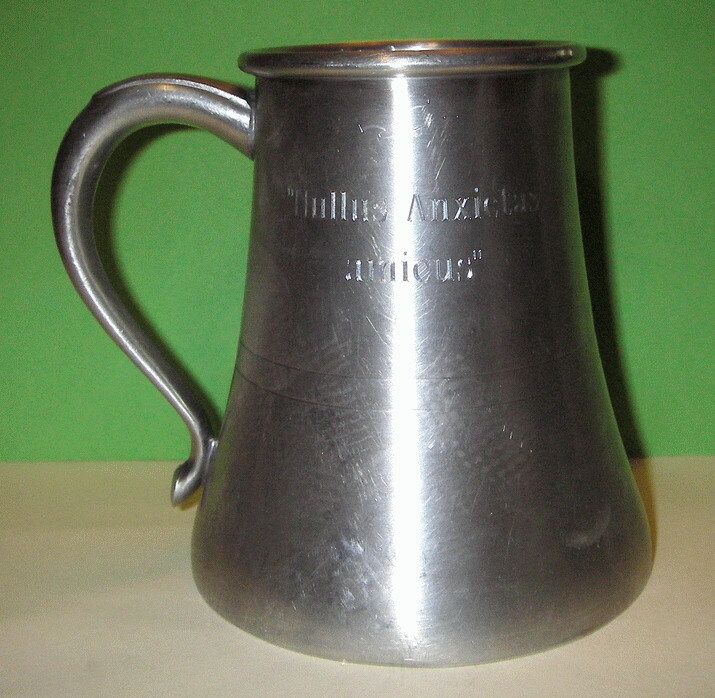 A 1/2 Gill of rum is marked on the side as the sailor’s daily ration. We generally pass it around, as yet no one has finished a daily ration alone. 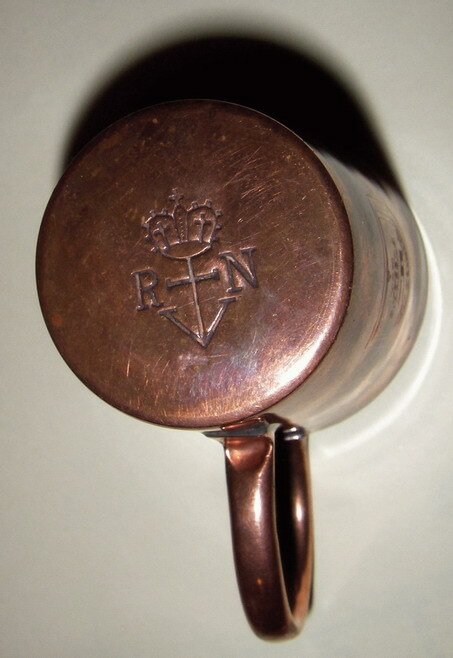 It has the Royal Navy insignia on the base. Nullus Anxietas amicus – true Australian sentiments. Thanks Victory! To any other sides planning a tour, come to Melbourne and let us know, but if you are thinking of Australia being uniformly warm and sunny all year, ask us about the weather before you pack. Beer, beer, beer, beer, beer, beer, beer, beer, beer, beer, beer, beer, beer, beer, beer, beer, beer, beer, beer, beer, beer, beer, beer, beer, beer, beer, beer!